Surf's up—so let's suit up business style and catch a wave! 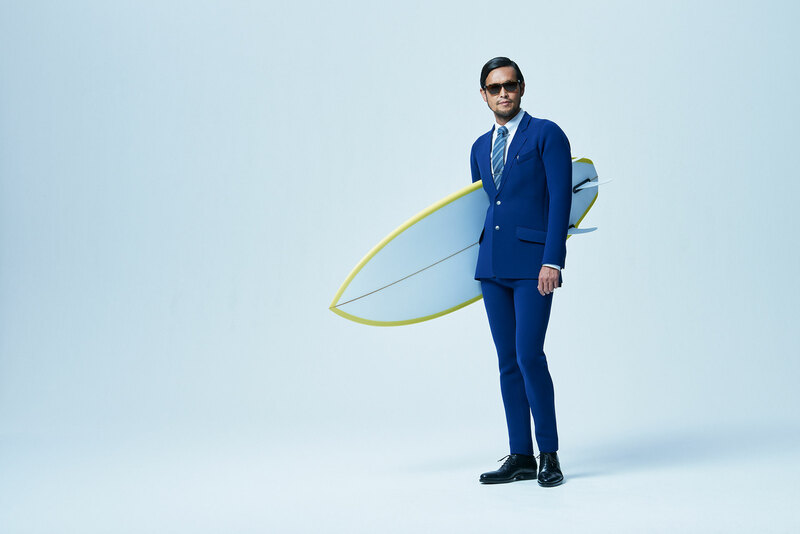 That's the thrust of a new project by TBWA\Hakuhodo and Quiksilver, which have teamed up to introduce True Wetsuits in Japan. These 2-millimeter-thick neoprene suits help guys look smashing at the office—or while hanging 10, shooting curls or whatever the hell people do on surfboards these days. The well-dressed dude in the two-minute clip below certainly seems to be having fun, playing hooky at the beach and texting work that he's stuck in traffic. Such a rebel. He'll make CEO in no time. So, why is Quiksilver selling such an item? In the making-of video, Tokyo salaryman Masashi Yuki explains: "It takes too much time to put on a wetsuit and then take it off again, you know?" Quiksilver brand director Shin Kimitsuka adds, "As your lifestyle changes, you have less time to go surfing. I thought it would be interesting to offer this product as a new solution to deal with this issue." These made-to-order suits are, at present, available only in Japan and exclusively in men's styles. Delivery takes two months, and jacket, pants, shirts and ties are included for about $2,500 total. That's a bargain! At Barney's, some sport coats alone will run you more than that. And think how much you'll save on dry cleaning!